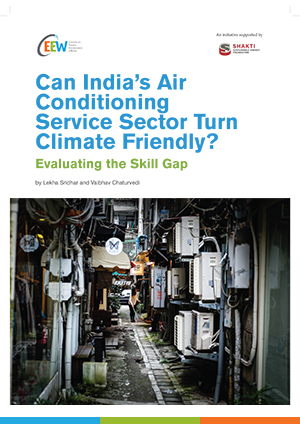 Within the ambit of the Montreal Protocol, India drew immense attention to address technological and systemic gaps to build the required ecosystem for phasing out HFCs in India. The Government of India’s national initiative of a collaborative research and development programme aims to create an ecosystem that allows industries, and the country, to move along a pathway that is climate friendly and resource efficient, without impeding economic growth or constraining economic interests. Building on our previous research on HFCs that identified the need for R&D as well as the Government of India’s ambitious targets for a transition to low-GWP refrigerants, this report highlights the relevance of, and presents an institutional design for a dedicated multi-stakeholder R&D platform to address India’s domestic concerns and to meet its international commitments for the phasing out of HFCs. The report was released by Mr Gyanesh Bharti, Joint Secretary, Ministry of Environment, Forest and Climate Change (MoEF&CC) and Mr Amit Love, Joint Director, Ozone Cell during the ‘Roundtable on Phasing Down HFCs in India: Building an R&D Ecosystem and Addressing Servicing Sector Challenges’, organised by The Council and Shakti Sustainable Energy Foundation on 3 October 2017 at India Habitat Centre, New Delhi. Facilitating and encouraging applied research. Recommending standards for usage, performance, and safety. 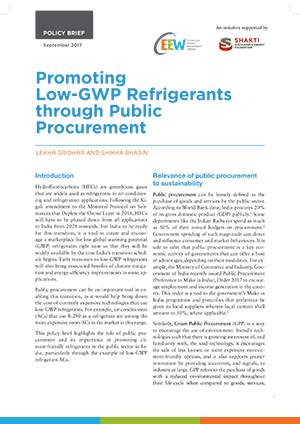 Recommending policies for market integration and low-GWP refrigerant usage. Functioning as a knowledge and information clearing house. Supporting linkages between industry, R&D institutions, and policy makers. Recommending skill development and training programmes, and. Any other related programme or aspect deemed necessary for the adoption of low-GWP refrigerants in place of HFCs. 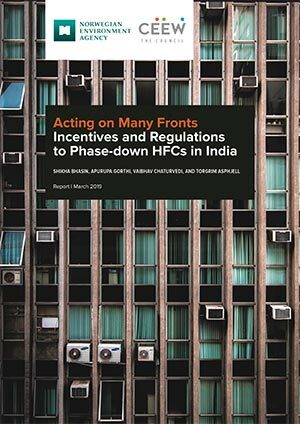 This report highlights the relevance of, and presents an institutional design for a dedicated multi-stakeholder R&D platform to address India’s commitment for phasing out of HFCs.